Tickets often sell out, it is recommended to purchase your tickets in advance! 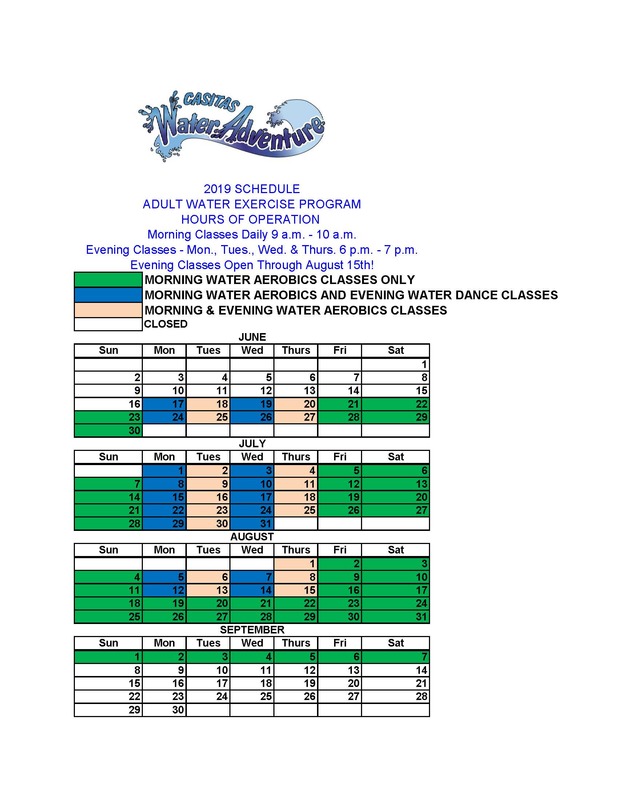 The Casitas Water Adventure is open throughout the summer months. 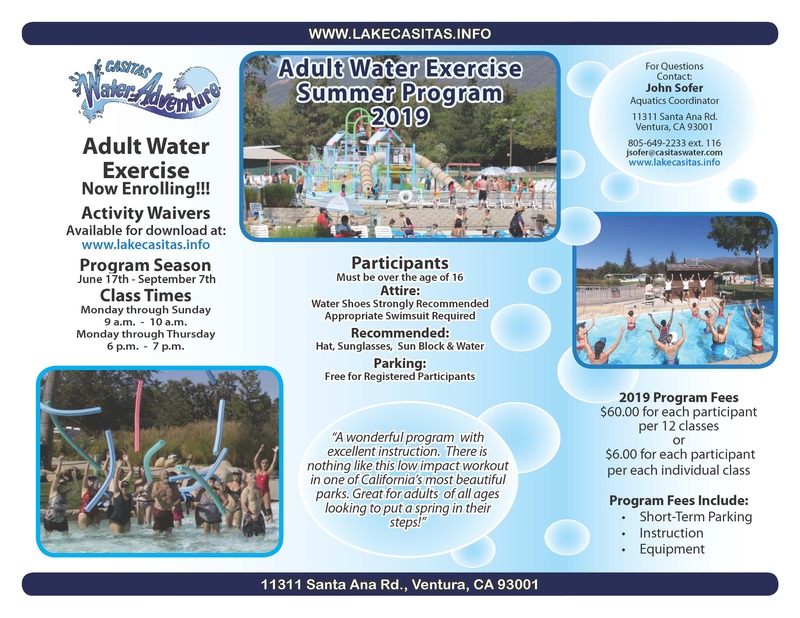 Children and adults alike can enjoy two distinct water playgrounds. For the younger children, a multi-level jungle gym with waterfalls, bridges and slides in a lagoon with water up to 18" deep. 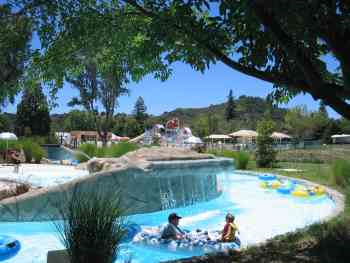 Parents can relax in a shady spot while the children play, or join their youngsters for a "splashing" good time. For the whole family, the Lazy River offers a cool water ride on inner tubes along a scenic waterway featuring waterfalls, fog filled bridges and jet sprays. The inner tubes are available free of charge on a first come, first served basis. And for the smallest of tots, a zero-depth pool sprays water from all angles, providing a safe, fun play area. Shaded decks, lounge chairs, showers, restrooms and a snack bar are provided for comfort and convenience. Certified lifeguards are on hand at all times and life jackets are available at no extra charge while supplies last. Locker rentals are available for a nominal fee. Due to safety concerns, food and drinks, with the exception of bottled water, are not allowed inside the Casitas Water Adventure. If you wish to bring your own food and drinks, picnic tables are conveniently located just outside the Waterpark and a Snack Bar is located in the same area. 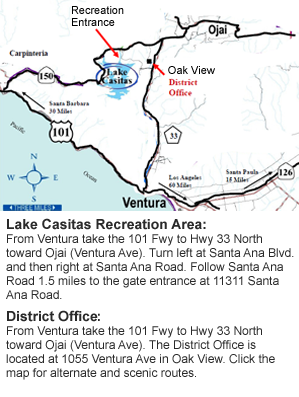 For more information about the Lake Casitas Recreation Area and the Casitas Water Adventure, check out our FAQ page, or call 805-649-2233. All patrons entering the water must wear appropriate swimwear, no street clothes.